Have you ever wanted to be an astronaut? It's not just about strapping yourself in and trying not to vomit. There is a lot more to it, including understanding the way rockets work. This book will help you understand what it takes to get a rocket off the ground and into an orbit. Brien writes it so that anyone with a basic knowledge of high school algebra will be able to understand. Often it's said that it's not rocket science, but in this case it actually IS rocket science! 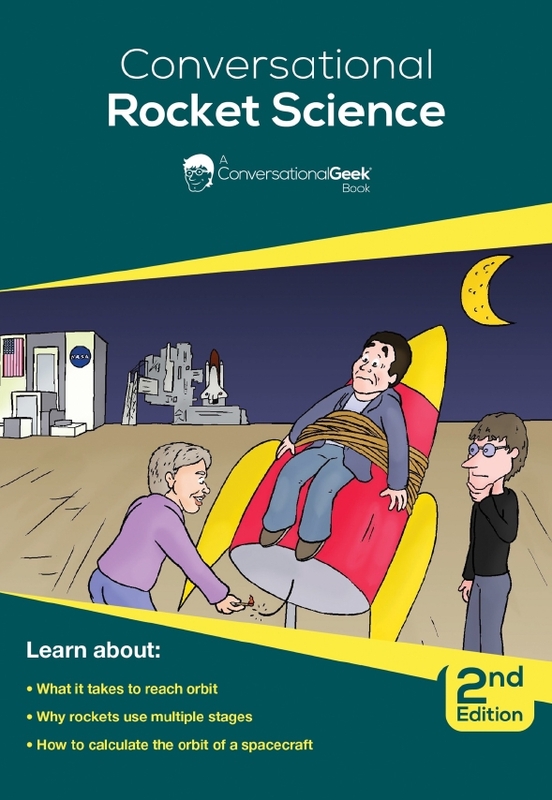 Recently, Brien actually took a copy of Conversational Rocket Science on a zero gravity flight. Watch Brien trying to catch the book while wearing a bulky spacesuit in the video below.